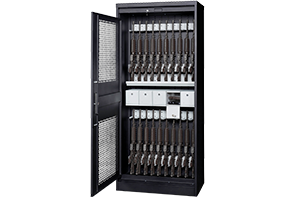 DASCO Weapon Storage Products are the future of secure, compact, high density weapon storage systems. Innovating and manufacturing since 1963. 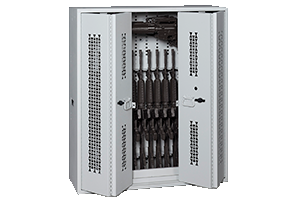 Standard configurations are available​ via GSA / DLA. 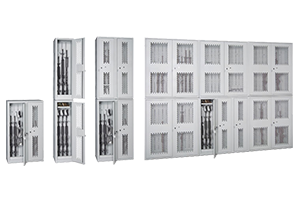 The Expandable Weapon Racks and Wall Panels will accommodate virtually any weapon and are primarily used in secure areas with multiple layers of security. 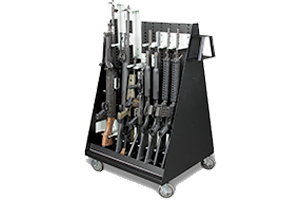 Our Bi-Fold Weapon Racks have all the same great features as our stackable weapon racks, but with added space-saving bi-fold doors. 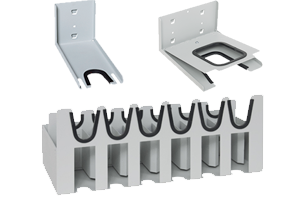 Stackable Weapon Racks are designed to stand alone, or be bolted together by stacking or with side-by-side or back-to-back configurations. 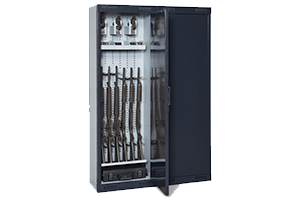 Each Weapon Storage Cabinet is equipped with a bi-parting tambour door that comes complete with a tubular lock and built-in padlock security bar. 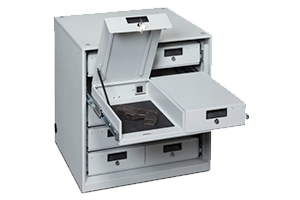 Designed for secure storage of most weapons or secure evidence storage. 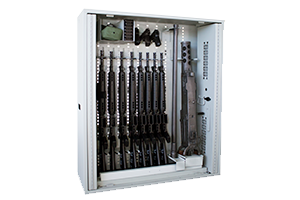 Our Weapon Lockers look like standard lockers, but inside can be customized with a full Universal Weapons Component Back Panel to secure weapons inconspicuously. 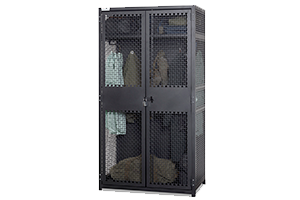 We offer Gear and Duty Bag Lockers, Combination Wardrobe Gear Lockers, Personal Duty Lockers, and TA-50 Military Storage Lockers. 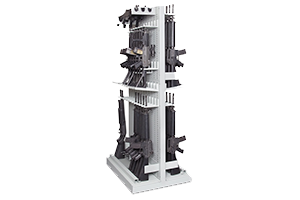 All welded 14 gauge steel Weapon Storage Components take the abuse and meets the weapon storage demand. Weapon specific components for a precise fit!